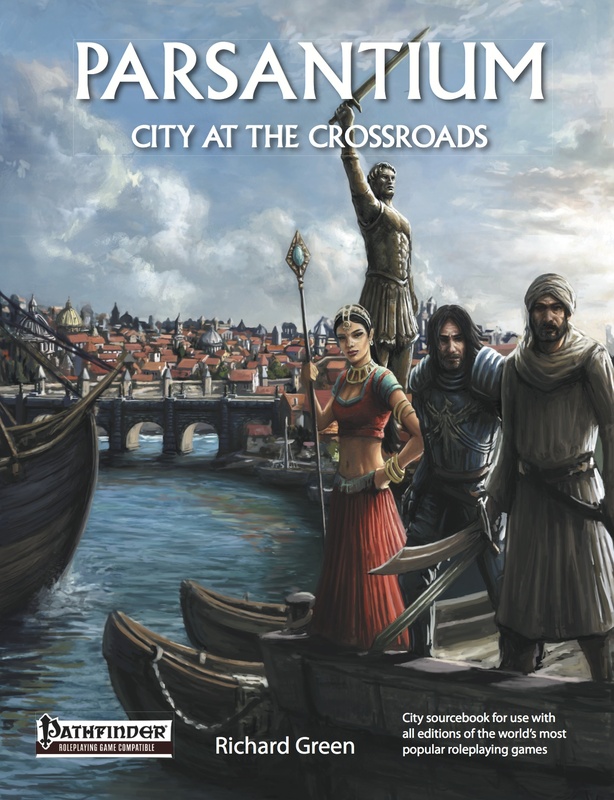 Parsantium: City at the Crossroads is a detailed fantasy city sourcebook published by Ondine Publishing for the Pathfinder Roleplaying Game and all editions of the world’s bestselling fantasy RPGs. You can buy Parsantium in PDF and print at drivethrurpg.com and paizo.com. 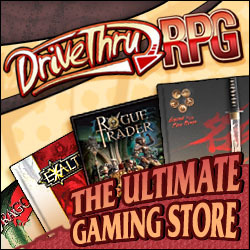 It is also available at amazon.co.uk, amazon.com and Open Gaming Store. Parsantium is a melting pot, a cosmopolitan city where trade routes meet and where great cultures collide. Inspired by Byzantium with its rich Greco-Roman heritage, Parsantium incorporates characters, monsters and magic from the Tales of the Arabian Nights, ancient India, and the Far East alongside more traditional European fantasy elements. There are evil cults and exotic gods, unscrupulous politicians and nobles, scheming rakshasas and serpentfolk, ancient dungeons beneath the city streets, powerful criminal gangs, gladiators and chariot racing. Parsantium contains enough adventure hooks, patrons and adversaries to keep your player characters busy throughout their careers without having to venture outside the city walls. Although compatible with the Pathfinder Roleplaying Game, Parsantium: City at the Crossroads contains minimal game stats, making it easy to use with whatever edition you are playing. Featuring cover art by Joe Shawcross, brand new interior art by Matt Morrow and Marc Radle, and cartography by ENnie Award winner Jonathan Roberts.